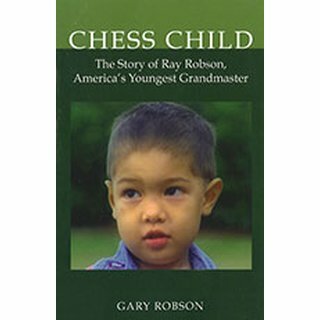 The subject of the book, Ray Robson, is the youngest grandmaster to ever represent the United States. In addition to beating Bobby Fischer's record as youngest grandmaster, Ray Robson is also the youngest recipient of the prestigious Samford Chess Fellowship, the youngest member of a US team in world team competition, and the youngest player to ever qualify for the US Chess Championship. Chess Child describes the development of Ray Robson from three-year-old chess player to 14-year-old grandmaster. More than just a biography, the book tells the story of a father and his struggle to adapt to meet the changing needs of his child. Dr. Gary Robson started his career in education as a Peace Corps Volunteer in the Philippines. Between 1987 and 1996, he taught K-12 students and trained teachers in Asia and Micronesia.